News TV Channel / 112 Ukraine is private Ukrainian TV channel, which provides 24-hour news coverage. 112 Ukraine is available on satellites AMOS 2/3, via DVB-T2 network and in packages of all major Ukrainian cable operators. 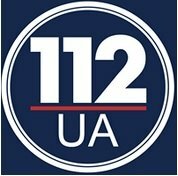 112 Ukraine is focused on live broadcast. CEO and owner is mr. Andriy Poschchypkov. 112 Ukraine covers 75% of the territory of Ukraine.